Rey has a lot of guts. 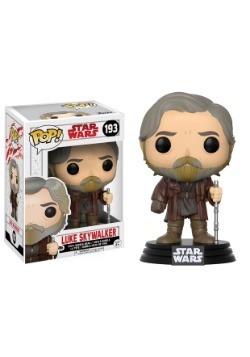 When Luke Skywalker was being a big Debbie downer in Star Wars: The Last Jedi, she stood up to him and told him that he stop being a total bummer. Luke Skywalker, the greatest hero that the galaxy far, far away has ever known got schooled by a spunky girl from a junk planet! Then, she goes on to face off against Kylo Ren, Snoke and all of their red-clad cronies. Any way you slice it, that takes some serious courage. Had we been in her shoes, we never would have been able to do it all! If only we had her kind of courage! We can’t even stand up to that errant fax machine in the copy room that likes to randomly eat documents. If Rey were here, she’d probably tell it to shape up or else! 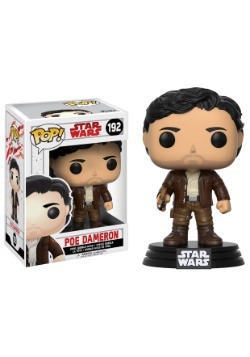 The good news is that now we have this Pop! 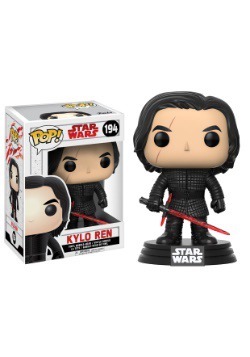 Star Wars Episode VIII figure and we feel a little bit more courageous just looking at it. 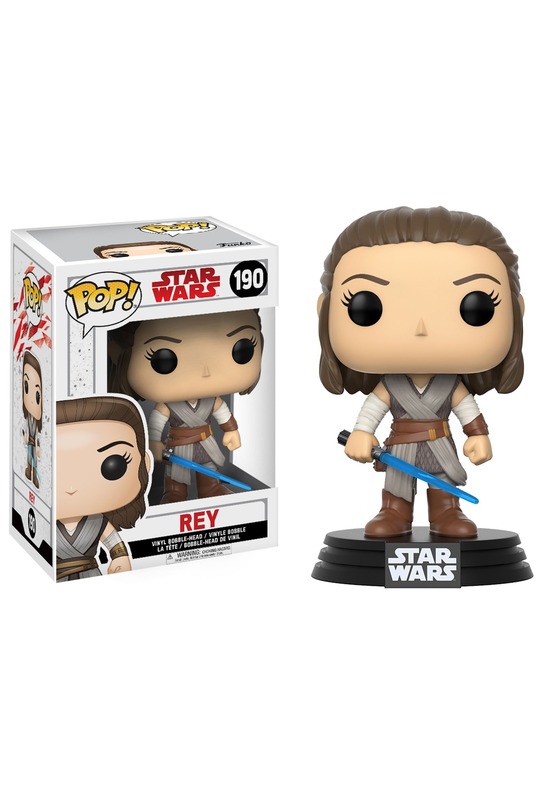 Based on her appearance in The Last Jedi, this Pop! Star Wars Rey vinyl figure gives you the hero of the movie in fabulous Funko form. She has a little bobble head and stands on a small black base. 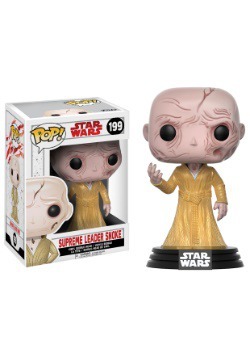 Just set her next to the rest of your Star Wars collection and some of her courage may even rub off on you! Maybe one of these days, this little figure will grant us enough courage to finally reprimand that fax machine. You hear us fax machine! YOUR DAYS ARE NUMBERED! Who knows what she'll do for your courage levels!